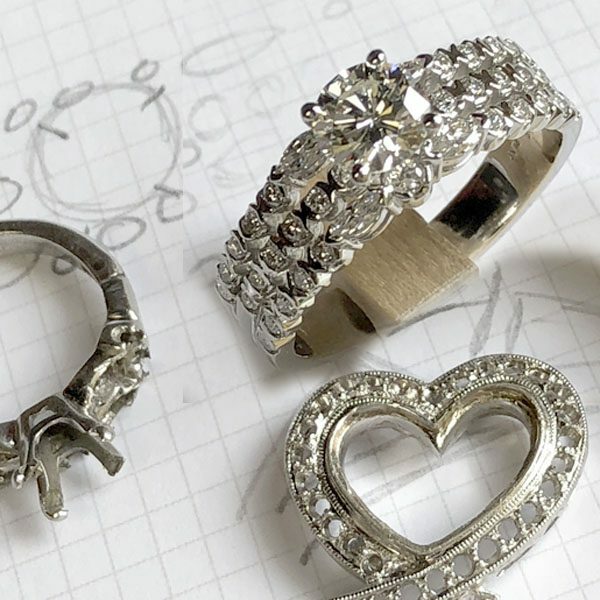 the daughter was a repair referral for a different ring. in chatting after she picked up that repair (very pleased, by the way), she mentioned she couldn’t wear her mother’s wedding ring because it was uncomfortable and the pearls were not secure. 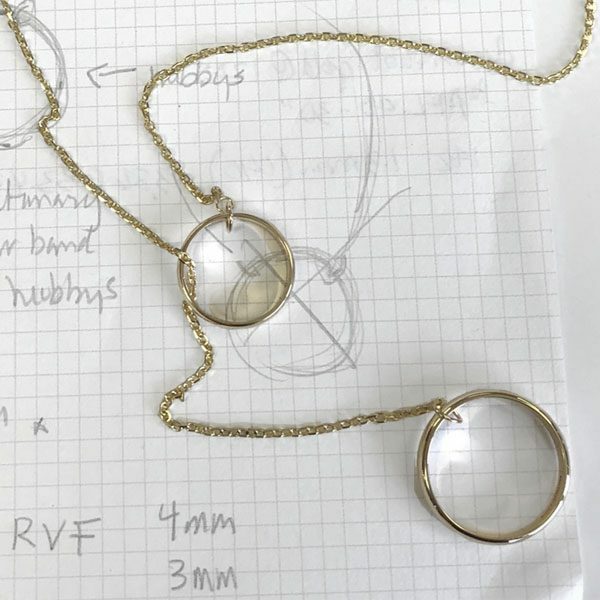 my jeweler’s brain began to whirl! we filled the channel with white gold wire, welded the channel edges to the wire and removed the milgrain edging. 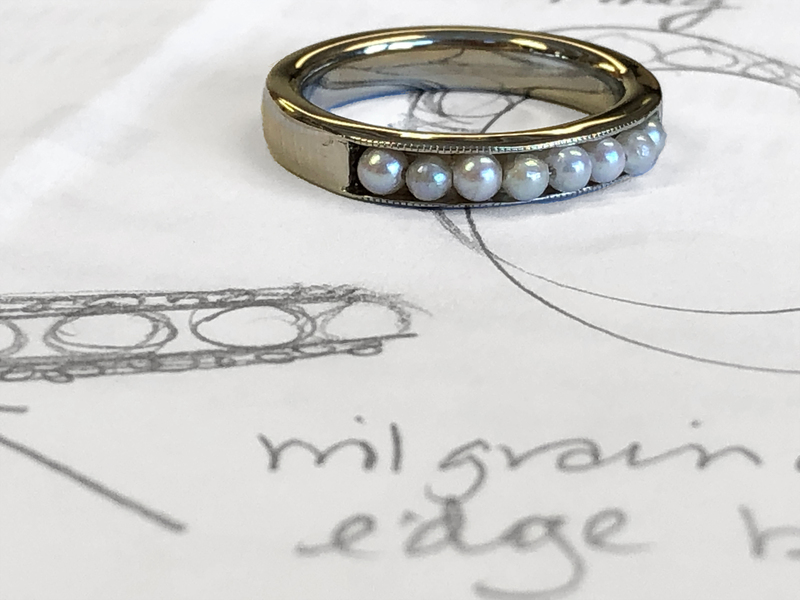 next, we created a channel for the remaining pearls but kept the original milgrain edging. 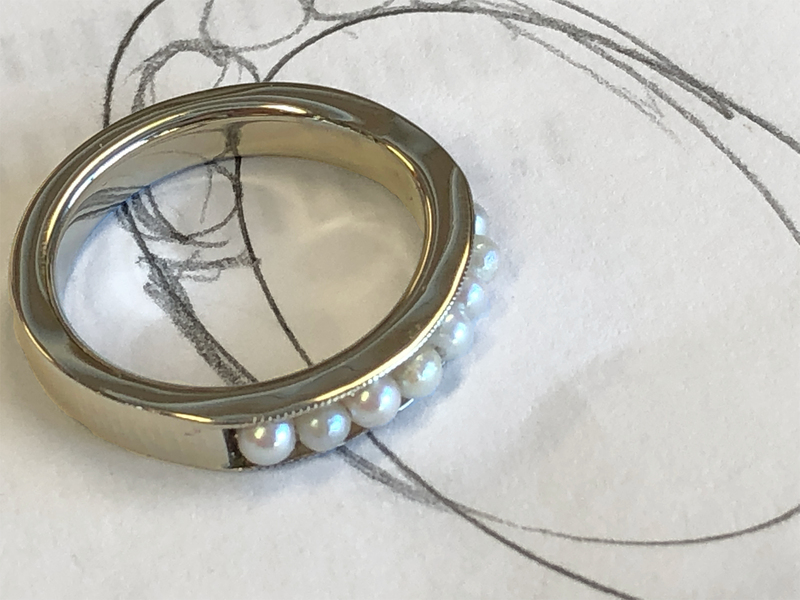 the end result is a newly fabricated ring with the look of mom’s original wedding band, but now comfortable to wear and without the worry of losing the small seed pearls. 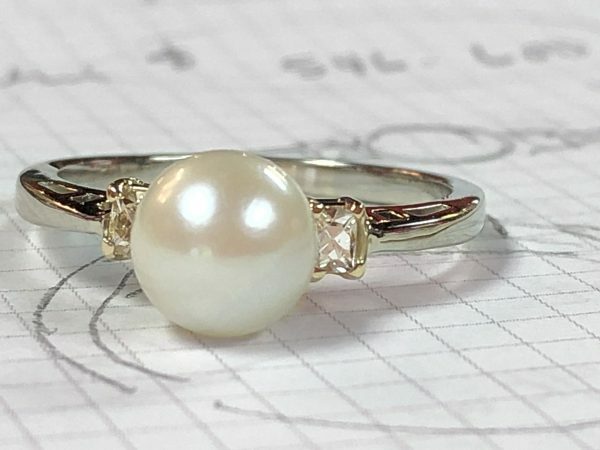 although the original pearls were not of superior quality, they were good pearls and they were mom’s; so we used those for sentimental reasons.